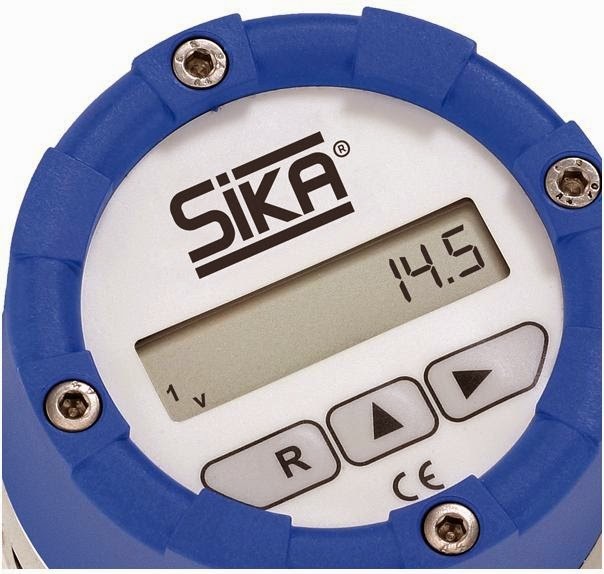 Sika Oval gear meters are displacement-type volume meters that transport defined incremental volumes in individual measuring chambers. The measuring element consists of two high precision toothed oval gears, which are driven by the flow of the medium and mesh with each other. In this way, a defined volume is transported for each rotation of the pair of oval gears. The number of rotations is a measure of the amount of fluid that has passed through the meter. The rotations are detected by a sensor element. 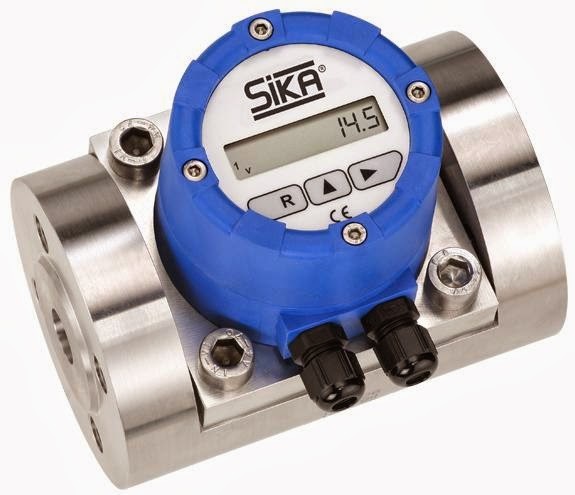 Oval gear flow meters type VO with tread connection are available with threaded process connection G¼, G½, G¾, G 1 or G 2 (female thread). The housing is made from stainless steel or aluminium. Type VO…VA sensors are available as high temperature version up to 125 °C. Oval gear flow meters type VO with flange connection are available with process connection according to DIN 2633 in sizes DN 15, DN 25 oder DN 50. The housing is made from stainless steel or aluminium. Type VO…VA sensors are available as high temperature version up to 125 °C.